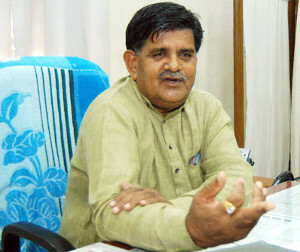 Udaipur, (Rajasthan), Feb. 3 - Rajasthan Home Minister Gulab Chand Kataria on Monday tested positive for swine flu and is recuperating in his residence. On Sunday evening, Gulab Chand Kataria complained of cold, cough, bad throat, fever. The next day he was tested for the H1N1 virus and by evening it was known that the test report was positive. "There is nothing serious. Medicines have been given to him, his family members and those who came in contact with him. Kataria has also been advised to be in isolation," Dr. Mahesh Dave said. According to reports, ten more people succumbed to swine flu in Rajasthan counting the death toll to 49 this year. 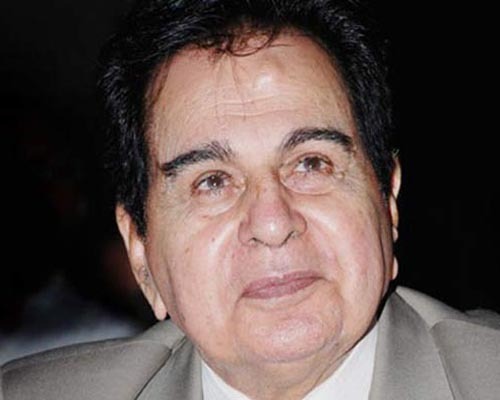 Jaipur - Padam Vibhushan and tragedy king of Bollywood Dilip Kumar was Sunday conferred 'Lifetime Achievement Award' for his contribution to Indian cinema. Actor Anumpam Kher received the award carrying a citation, shawl and srifal (coconut) by the Jaipur International Film Festival (JIFF) organising team, led by its founder chairman Honu Roz, at the inaugural ceremony at Golcha theatre here. In her video message, wife of Dadasahab Phalke Awardee and actress of yesteryears cinema, Saira Bano said, "Dilip sahib will be very happy and feel to be honoured by with this award. Jaipur - Riding the tremendous form of their star raiders Jasvir Singh and Maninder Singh hosts Pink Panthers overcame stiff resistance from lowly Puneri Paltan to post a 33-27 victory, continuing their winning streak. Cheered by Bollywood star Amitabh Bachchan, Pink Panthers put a up a grand show, after losing concentration in the middle, to post a thrilling victory. They keep their position at the top intact with a tally of 53 points from 13 matches after having won 10, lost one and playing one draw. Jodhpur - With an eye on increasing market share in India, Korean auto major Hyundai is gearing up to enter the compact SUV and multi-purpose vehicle segments from next year. Buoyed by strong response to its newly launched hatchback Elite i20 and success of compact sedan Xcent, the company's Indian arm Hyundai Motor India Ltd (HMIL) is also looking forward to a strong festive season sales. Jaipur: Former US President Bill Clinton arrived here tonight on a tour during which he will visit a kitchen being run for schoolchildren by an NGO. Clinton landed with his delegation at the international airport at Sanganer from where they left for a hotel amidst tight security. "Clinton is on July 16 scheduled to visit the kitchen in which food is cooked for schoolchildren in the Jagatpura area," said a spokesperson for the NGO, Akshya Patra. Akshya Patra provides food to a large number of children at government schools as part of the mid-day meal scheme. Jaipur, May 16 : Expelled BJP leader Jaswant Singh, who fought as an Independent candidate from Barmer constituency of Rajasthan, lost by a big margin against BJP's Colonel Sonaram. The BJP candidate, who had joined the party recently from the Congress, defeated the former union minister by a margin of over 87,000 votes. Congress's Harish Chaudhary came third. Sonaram secured over 4.87 lakh votes while Jaswant Singh was able to get over 4 lakh votes. Chaudhary got over 2.20 lakh votes. Jaswant Singh represented Darjeeling in the outgoing 15th Lok Sabha. Barmer, (Rajasthan), Apr 12 : Bharatiya Janata Party (BJP) prime ministerial candidate Narendra Modi on Saturday said the Congress Party only knew how to make false promises and has acquired a habit of rubbing chillies in the eyes of the public. "I do not make false promises; I won't rub your eyes with chillies like the Congress. We have seen such leaders in the country who do not even show their faces for five years after being elected," said Modi, while addressing a rally in Barmer. Barmer (Rajasthan), April 12 : BJP's prime ministerial candidate Narendra Modi Saturday took a dig at the Congress, saying tt had "misused" every government agency to trouble him. "In the last 10 years, every agency has been misused to trouble me. They worked overtime on this," Modi said at a rally in Pachpadra in Barmer district, in an indirect reference to the Central Bureau of Investigation. "Your sultanate (government) has gone overtime to trouble Modi. Keep trying the same and people will punish you," the Bharatiya Janata Party leader said. Jh unjhunu (Rajasthan), April 10 : Congress vice president Rahul Gandhi said Thursday the BJP balloon will burst as it did during the 2004 and 2009 general elections. The Gandhi scion was addressing a rally here. He said the Bharatiya Janata Party misled the nation in 2004 and again in 2009 by suggesting India was shinning, but its balloon burst. Highlighting the achievements of the UPA government, Gandhi said: "We have taken 15 crore people out of poverty. This is not a small work." He said the Congress party is for the weak, poor and the farmers. Jaipur, March 21 : Senior BJP leader Jawant Singh is annoyed over not being considered from Rajasthan's Barmer constituency and "may even consider" contesting the Lok Sabha elections as an independent, a party leader said. Bharatiya Janata Party leaders have begun to pacify Jaswant Singh, who has threatened to quit the party and contest from Barmer as an independent. Jaswant Singh, sources said, has expressed his annoyance over the party's decision not to field him from Barmer. Jaipur, March 10 : Congress vice president Rahul Gandhi Monday said his party runs a government for the poor and would work for their development if voted to power in the Lok Sabha elections. Addressing a rally in Rajasthan's Devali town in Tonk district, around 100 km from here, he said the Congress-led UPA government got about 150 million people out of the below-poverty line in the last 10 years. He said his party would work for the welfare of 700 million people in the country who were earlier classified as "poor" but now no longer live in absolute poverty. Bhubaneswar, Feb 1 : Central government-owned National Aluminium Company Ltd. (Nalco) Saturday said it has commissioned its second 47.6 MW wind power plant at Ludarva of Jaisalmer district in Rajasthan. This Rs. 283-crore wind power project was executed through M/s Gamesa Wind Turbines Private Ltd., involving erection of 56 wind turbines, each of 850 KW, the company said in a statement. Jodhpur, Jan 29 : A court here Wednesday recorded the statement of Bollywood actor Salman Khan in the Arms Act case against him in connection with poaching of blackbucks. "Salman, in his statement, has denied all the allegations and said he neither was carrying illegal arms nor did he poach blackbucks," Salman Khan's counsel Hastimal Saraswat told IANS. The court has fixed March 10 as its next hearing date. Jaipur, Dec 20 : Rajasthan Chief Minister Vasundhara Raje Friday expanded her cabinet, inducting nine cabinet ministers and three ministers of state. Rajasthan Governor Margaret Alva administered the oath of office and secrecy to the 12 ministers. The cabinet ministers are Gulab Chand Kataria, Rajendra Singh Rathore, Kalicharan Saraf, Kailash Meghwal, Sanwarlal Jat, Prabhulal Saini, Gajendra Singh Khimsar, Yunus Khan, and Nandlal Meena. Arun Chaturvedi, Ajay Singh and Hem Singh Bhadana are ministers of state. Rathore is considered a Raje loyalist, while Kataria is a senior leader in the state BJP unit. Jaipur, Dec 10 : Vasundhara Raje, the BJP's chief minister-elect in Rajasthan, will be sworn-in Dec 13. She met Governor Margaret Alva Tuesday and staked claim to form the government in the state. The BJP legislature party Monday unanimously elected Vasundhara Raje as its leader. She is also the president of the party's state unit. Banswara (Rajasthan), Nov 28 : Congress vice president Rahul Gandhi Thursday accused the BJP of ignoring the poor and said the only thing the opposition party is ahead in is indulging in corruption. "We make better and more roads, railway lines and airports. We are ahead of the opposition in everything. I would like to say this from a public platform that they are better in only one thing. It is corruption," Gandhi said addressing an election rally in the tribal belt of Rajasthan's Banswara district, over 500 km from Jaipur. Sikar (Rajasthan), Nov 28 : BJP's prime ministerial candidate Narendra Modi Thursday targeted Congress president Sonia Gandhi, asking voters not to be taken in by her concerns for the poor. "Madam asked where was the opposition for the last five years," Modi told an election rally in this town, 120 km from Jaipur, referring to her poser at a public meeting a day earlier. "We were using a microscope to find out where the Rajasthan government was," Modi said, triggering peals of laughter and sloganeering. Sikar (Rajasthan), Nov 27 : Congress president Sonia Gandhi Wednesday accused the opposition of spreading rumours and asked people to challenge opposition leaders when they come seeking votes. Addressing an election rally in Sikar, some 120 km from Jaipur, she said the opposition appeared to be adept in levelling baseless allegations even as the Congress was dedicated to people's welfare. "They never tried to understand the problems faced by people. They just want to grab power. Khetri, Nov 25 : Continuing his tirade against the Congress Party, Bharatiya Janata Party (BJP) prime ministerial candidate Narendra Modi on Monday said the development in Rajasthan has come to a standstill under the Ashok Gehlot Government regime. Addressing a rally here, Modi criticised the Gehlot Government for shrinking tourism sector in the state and said that tourism industry, which adds to the revenue of the state has been badly hit because of poor governance. "Due to poor policies of the Gehlot Government, number of tourists visiting the state is decreasing day by day. It is issue of serious concern," he added. Banswara, Nov 24 : Continuing his tirade against ruling party at the centre, Bharatiya Janata Party ( BJP) prime ministerial candidate Narendra Modi on Sunday accused the Congress of not even acknowledging the existence of the tribal population in the country. Addressing a rally in Rajasthan's Banswara district, the Gujarat chief minister said: "The tribal population exists in this country since the time of Ramchandraji. It existed during the Independence struggle. Everyone but the Congress is aware of the existence of the tribes for centuries."